John joined Lloyds TSB having worked in personal finance, banking and mortgages for 10 years, progressing rapidly to become an IFA for Lloyds TSB Private Banking HNW clients. He resigned in 2006 to start CDC Wealth Management with Phil. His work philosophy is focussed on the delivery of long term client relationships and satisfaction that their affairs are being handled in an un-biased, expert and professional manner. To that extent he strives to provide client confidence and trust that CDC can be relied upon to provide a lifetime of valued service to clients, their friends and families. 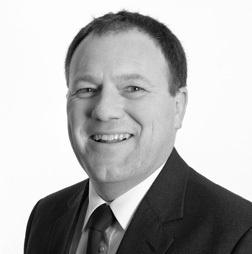 Outside of work John enjoys and partakes in many sporting activities particularly golf and football. An equal passion however is the provision of stability, support and security for his family and children.